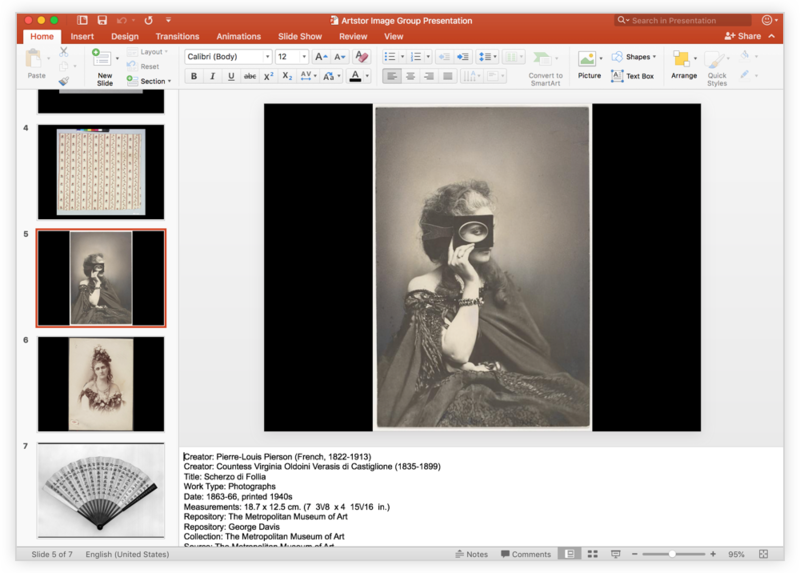 Quickly download groups of images into PowerPoint presentations with citation data in the notes field–each image links directly back to Artstor, allowing you to zoom in on details. 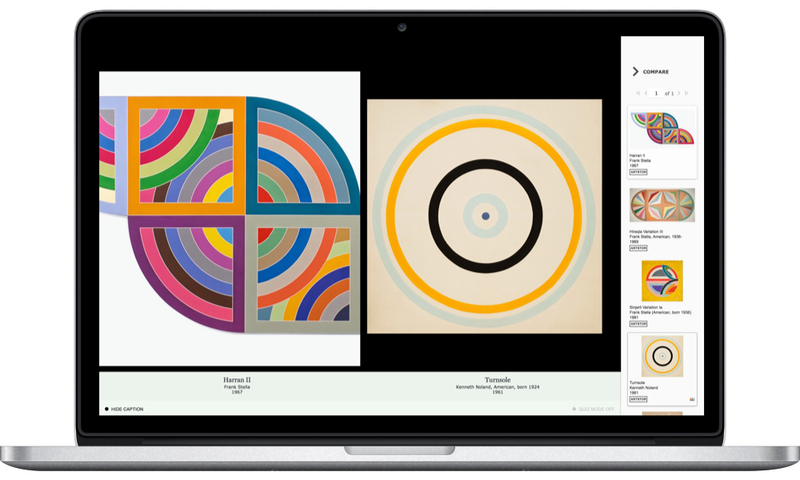 Our IIIF image viewer allows you to view images full screen and to compare up to 10 items at once while zooming in on details. Curate groups of images for lectures and papers, access and download them from anywhere, and share them in many formats–even on your course management system. With the click of a button, students can turn image groups into flashcards using quiz mode or generate automatic image citations in APA, MLA, an Chicago styles. The Artstor site is fully mobile friendly and accessible from anywhere so you can access your work and study on the go. Upload your own images and use them seamlessly alongside Artstor’s images–they remain private until you choose to share them. 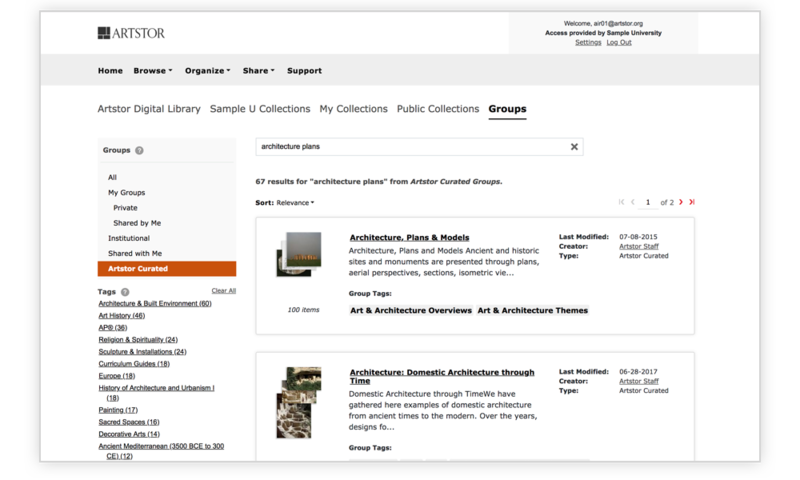 Artstor is compatible with a wide variety of Shibboleth single sign-on federations, web scale discovery, and federated search systems.